implement your visual communications solution. 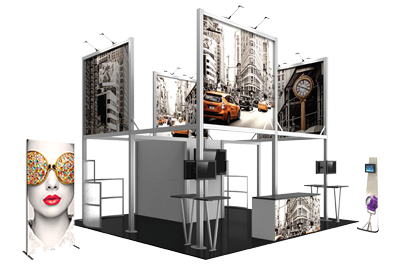 The experts at FASTSIGNS® offer one of the widest ranges of portable display products, fabric structures, modular exhibit solutions, display accessories and graphics to handle all of your business visibility needs. Our highly skilled team of marketing and graphics experts has the experience, vision and insight needed to create, manage and implement your solution. Browse the wide range of available products to find the solution that will accomplish your visual communications goals and solve your challenge.